This speaker blew my mind! it has really clean punchy low mids, you can easily set the treble and bass notches for your room. It is obviously quiet on sub frequencies, but if you throw a subwoofer next to this guy, you can get a really really professional set of monitors. I was looking for a good upgrade for my system as I had recently gained a DA converter. I'm not a music producer, but I listen to music and I'm interested in hi-fi. Every kind of music is heard, from heavy metal to classical, hip hop, jazz, etc. I ordered the JBL lsr 305 first and was quite satisfied. But I was hoping to find something even better in the price range, so I ordered the Mackie MR524. I have had Mackies (CR4) before and loved them, so I was looking forward to the new monitors. Visually they look great, in my opinion far better than the JBL. I also really liked the room adaptation feature because it actually seems to have a positive and pleasant effect on the sound. After a few hours, the boxes then sound considerably "warmer" and more pleasant. However, on closer inspection, the JBL stay better than the Mackies. 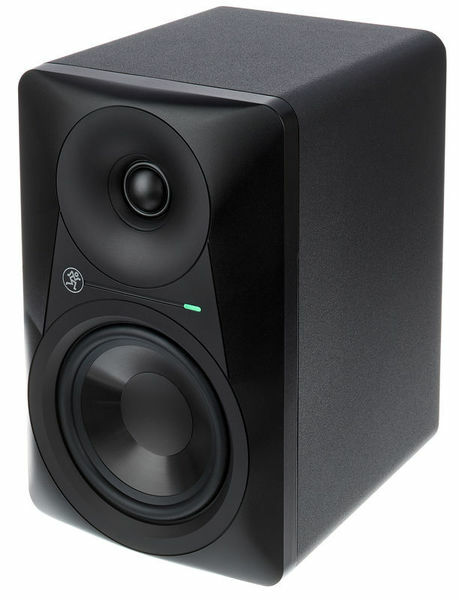 Especially in the bass area, I have lacked in the Mackies in part to clarity and strength. In my opinion, the JBLs give a fuller and clearer sound overall. What is definitely better with the Mackies than with the JBL is that they make absolutely no noise when no music is playing. But I also want to emphasize again that it is only a hobby and a subjective opinion. ID: 415930 © 1996–2019 Thomann GmbH Thomann loves you, because you rock!